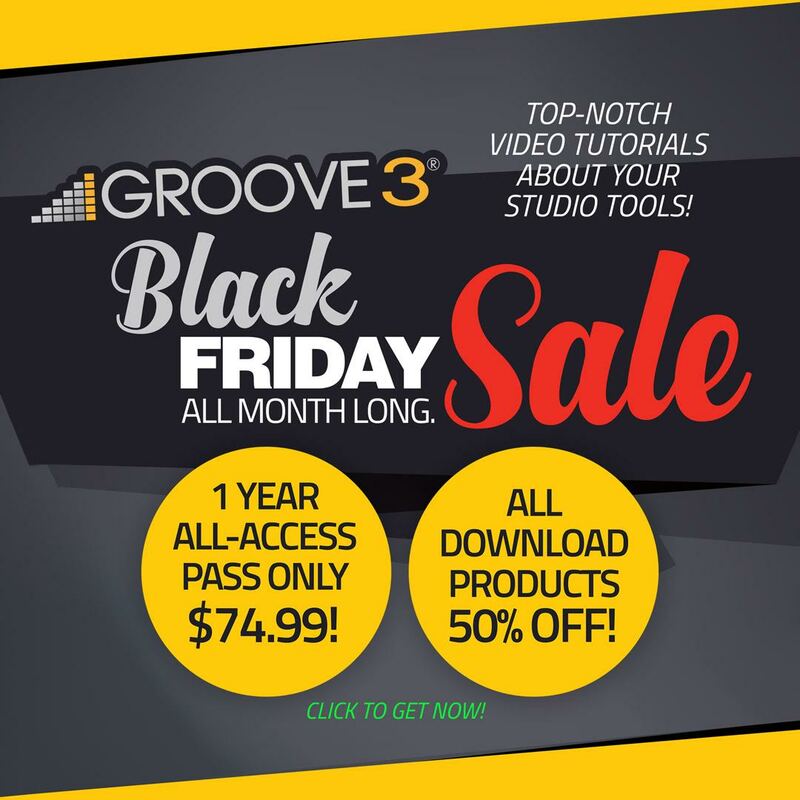 Groove3’s Annual Sale: All-Access Pass for Only $75! The answer to the latter is no (most of the time). But we have lots of available responses with help for Studio One. One of those is referring the customer to our friends at Groove 3. 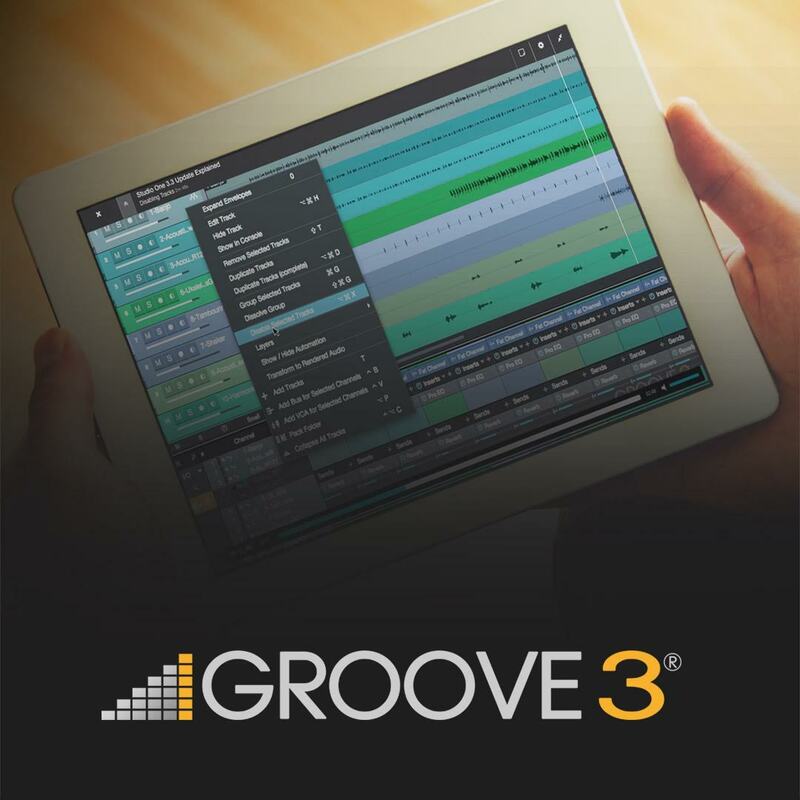 Groove 3 offers over 1200 hours of video tutorials of popular DAWs like Studio One, Plug-ins, instruments and more with new content every week and 100% satisfaction guarantee. And as part of their Black Friday sale for the month of November, you can score a year long all-access pass for only $74.99! That’s a $150.00 value! And you can download all their products for 50% off! Take advantage of this deal before it’s too late! Click here to learn more and get your pass! Posted in Promo / Discount, Studio One, Uncategorized | Comments Off on Groove3’s Annual Sale: All-Access Pass for Only $75!